As a singer your voice and body is your instrument and you can learn, with certainly, how to play it. We work with singers of all kinds, ranging from children to adults, from beginners to professionals and including Broadway, Opera, Pop, Rock, Folk and Jazz. Creating a course of study that serves each student's unique needs. Each voice is one of a kind. You learn to sing comfortably through your entire range, expanding your range as you strengthen your instrument with focused exercises, Accessing a variety of styles if you choose, and sing expressively! Vocal exercises are focused on function and vocal health. Students learn what the voice/body is doing, not just how the voice sounds. Nismah Osman is a Cape May native. She has been writing songs and making music since she can remember. Her love and affinity for music led her to pursue her Bachelor's in Music from Berklee College of Music in Boston, MA. She graduated in May of 2017 with a degree in Music and Songwriting. Nismah studied voice at Berklee as her primary instrument. She also plays and teaches Piano, Guitar, Electric Bass, and is versed in Music Theory. 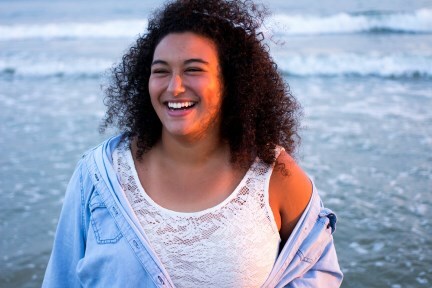 While at Berklee, Nismah studied with some of the best in the Music Business - from nationally renowned vocalist and organist Dennis Montgomery III, to international jingle-writing mogul Jon Aldrich. Nismah has worked in countless genres of music in countless settings, including arena performances and midnight recording sessions. Besides teaching, Nismah actively writes songs and produces music for herself and others. With dreams of becoming a professional recording artist one day, she works to share hope and joy to the world through her music.